Slice tops off tomatoes and hollow out with a spoon; set aside tomatoes. 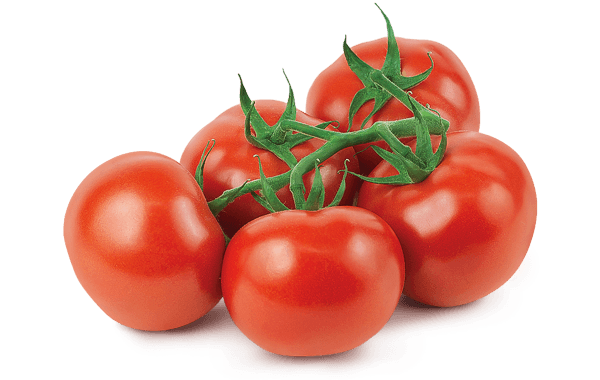 Coarsely chop tops and scooped out tomato flesh; set aside. In an oven-proof skillet, cook sausage over high heat until lightly browned. Stir in chopped tomato, onion, chilies, garlic, cumin, and hot sauce. Cook for another 4 minutes. 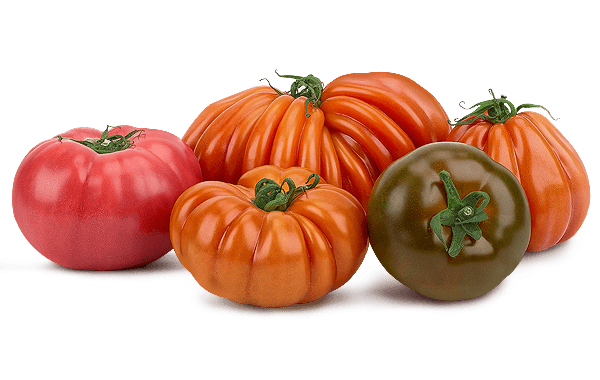 Remove from heat, arrange tomatoes into mixture cut side up; crack and egg into each cavity. 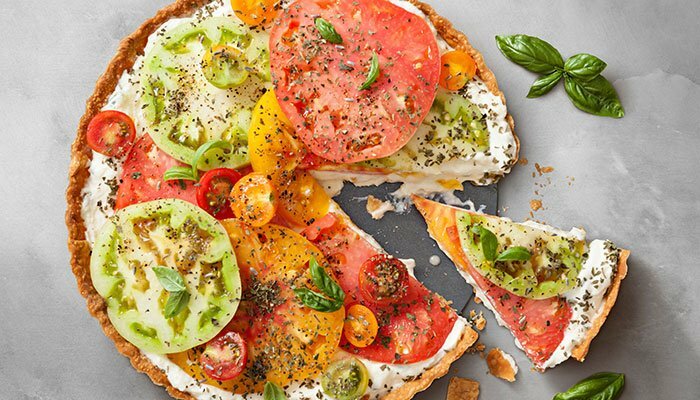 This easy recipe is delicious and will impress your guests as it features Mucci Farms' Tri Colour Tomatoes On-The-Vine. 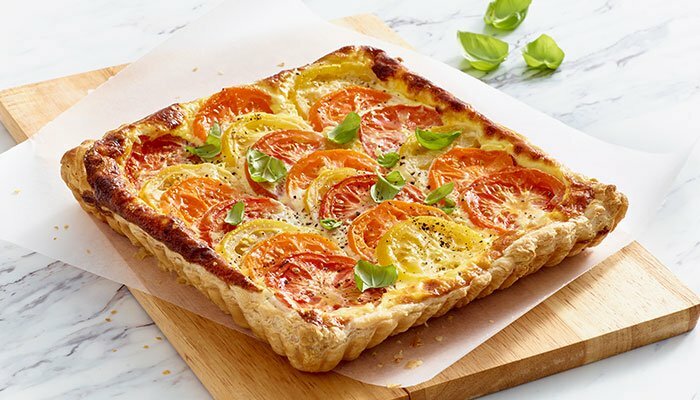 The combo of smoked cheddar with a spark of hot sauce takes this tart from ordinary to unique. Serve it for lunch or a light dinner.